The following instructions are intended to serve as a guideline on how to install saxophone neck cork. The instructions are the same for all natural saxophone neck cork and synthetic saxophone neck cork. Follow all safety instructions when using contact cement, as it is extremely flammable. 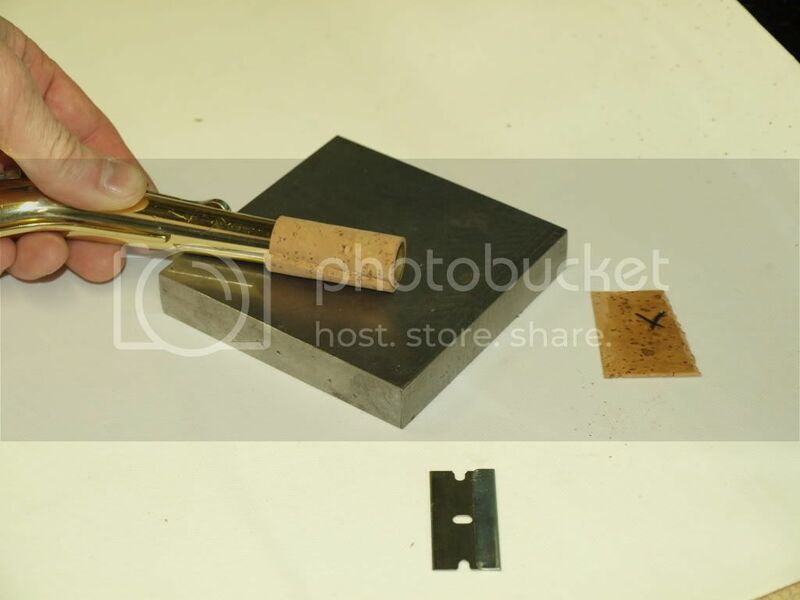 If you don't feel comfortable using any of the tools required for replacing saxophone neck cork, please have a professional install your saxophone neck cork. Place a piece of tape on the mouthpiece as shown to protect surfaces that will not be corked when you install your new saxophone neck cork. 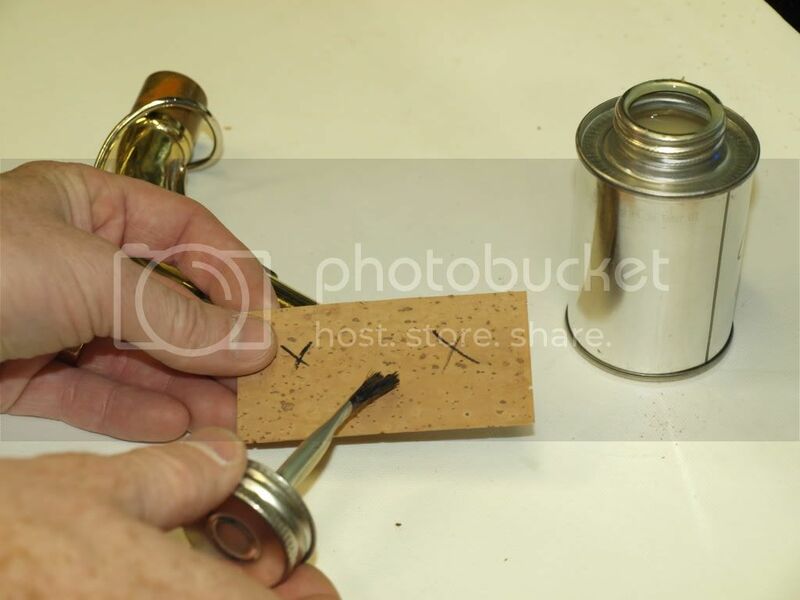 With a pair of pliers, gently remove the old saxophone neck cork from the saxophone neck. Rotate the saxophone neck back and forth, while gently gripping the pliers until all of the old sax neck cork is removed. 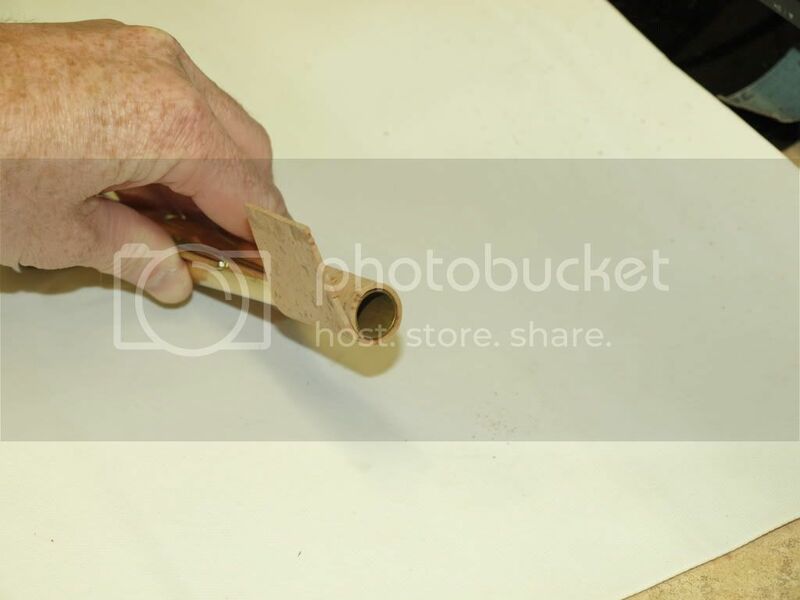 With 240 grit sandpaper, sand all of the glue off the saxophone neck. Then clean the neck with rubbing alcohol, or soap and water. 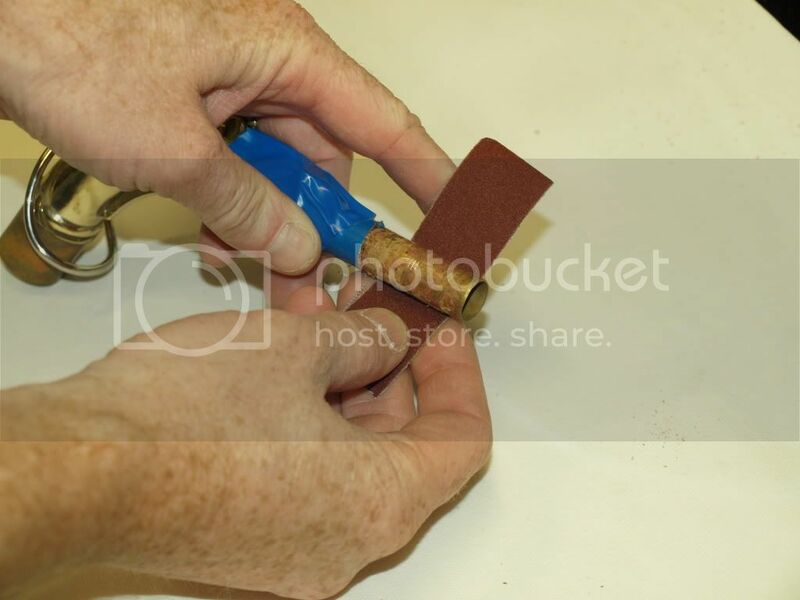 The saxophone neck must be extremely clean before applying adhesive for saxophone neck cork replacement. Cut the cork to the appropriate size for your saxophone neck. The general rule is to cover all of the originally corked area. If you are in doubt, it is at least 1 1/2” inches. 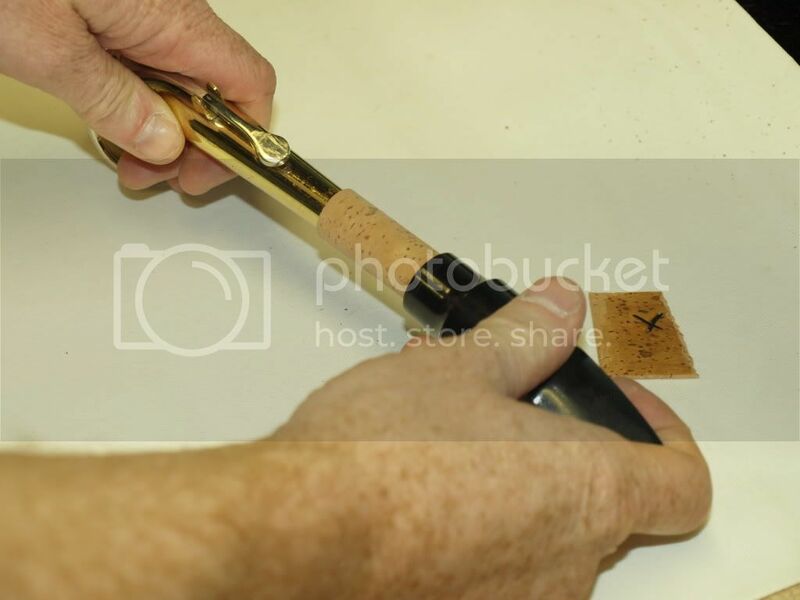 Then apply a beveled edge to the new saxophone neck cork. If you are using Instrument Clinic to replace saxophone cork, you will not need to cut a beveled edge, as our saxophone neck cork is pre-beveled. 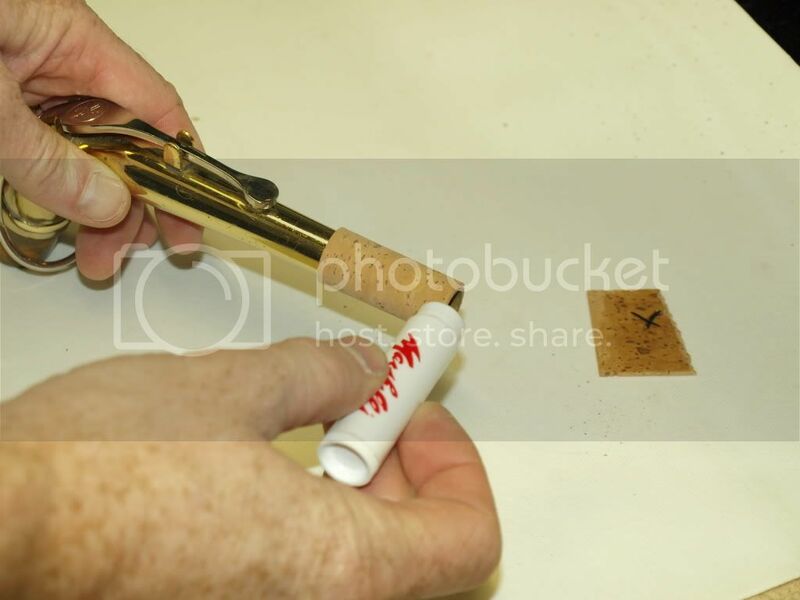 Apply contact cement to the back of the saxophone cork (the side with the “x’s”). 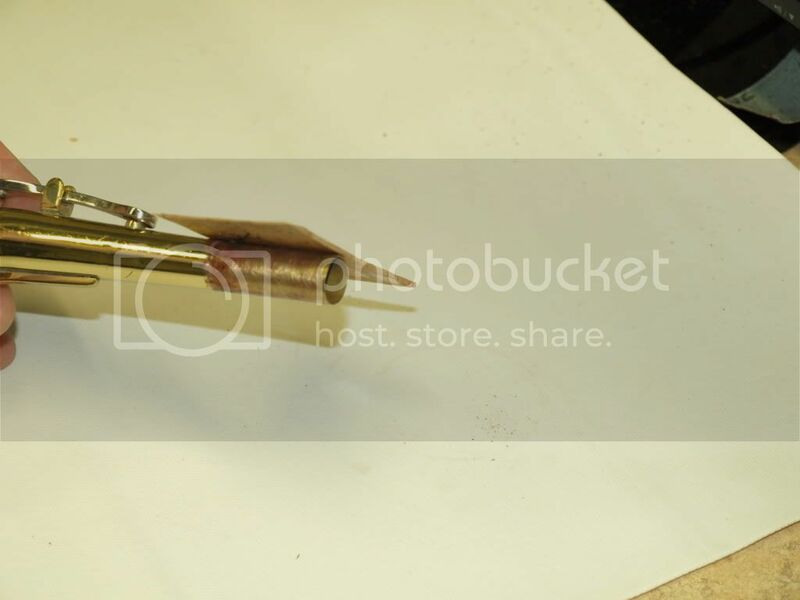 Also apply contact cement to the beveled edge on the top side of the saxophone neck cork (black line). Then apply the contact cement to the saxophone neck, before installing new saxophone neck cork. Position the new saxophone neck cork on the saxophone neck, about 1/3 of the way over from the beveled edge. You want to be sure the beveled edge of the new saxophone neck cork does not end up being the edge of the cork that gets cut off. 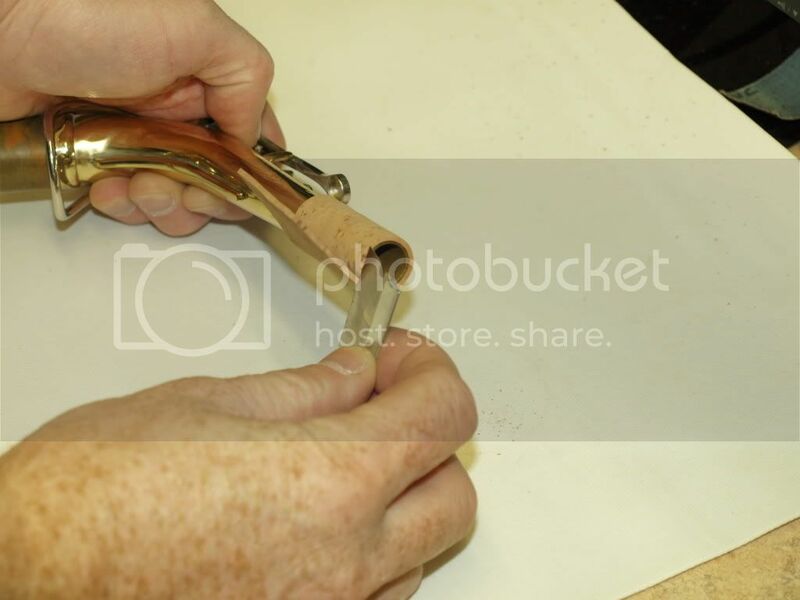 Gently wrap the new saxophone neck cork around the neck, while being careful to make sure the new saxophone neck cork is lining up properly with the end of the saxophone neck. 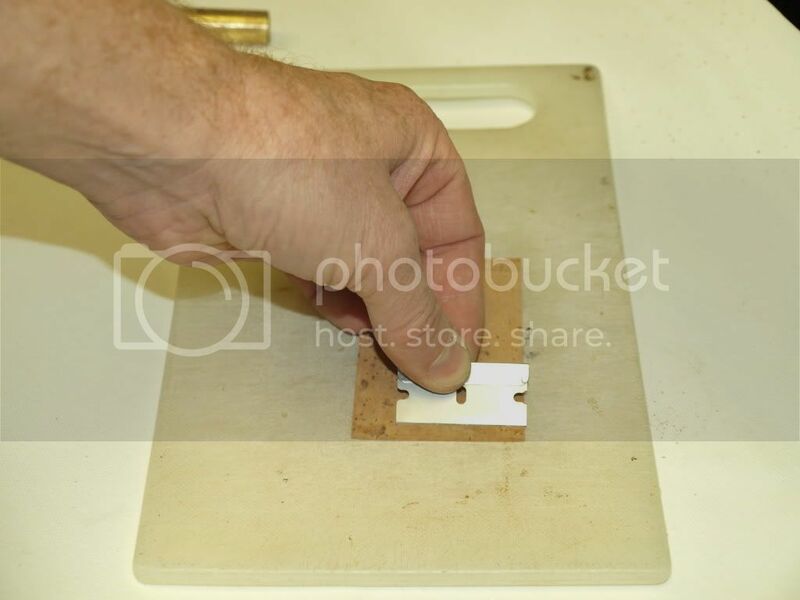 Use a popsicle stick, or other flat object to press the beveled edge of the replacement saxophone neck cork area of the new saxophone neck cork into place. You don’t want to use your hands on the new saxophone neck cork adhesive, as this can cause the neck saxophone cork to not stick. 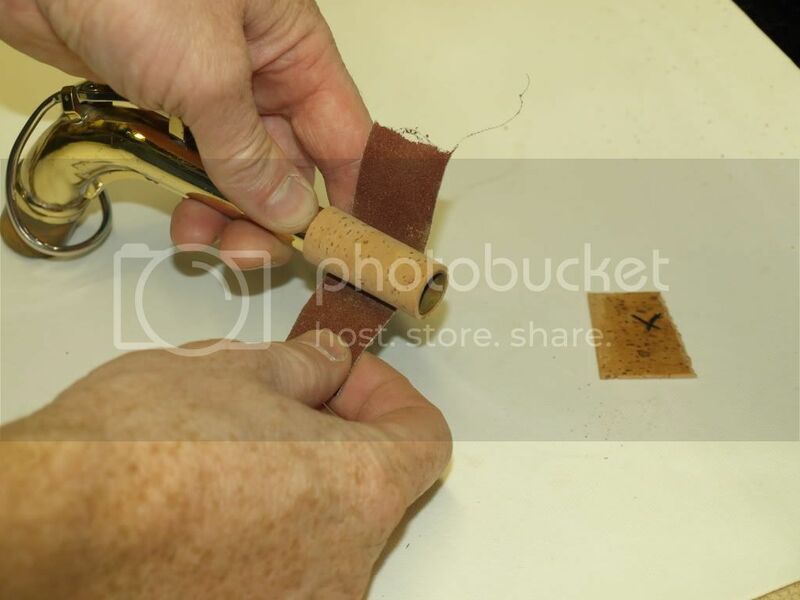 Once the new saxophone neck cork is wrapped around the saxophone neck, carefully trim the excess saxophone neck cork off the saxophone neck. 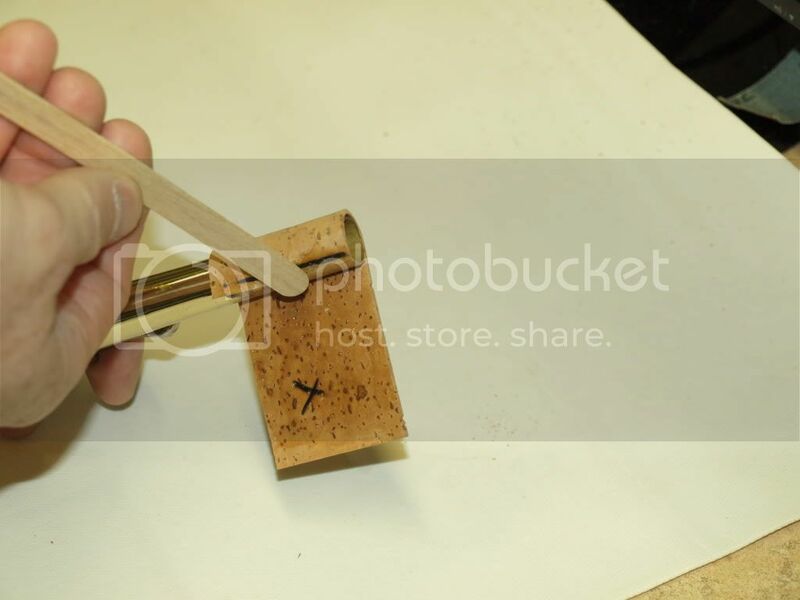 Roll the saxophone neck cork back and forth on a bench block or piece of wood, while applying firm pressure to the new saxophone neck cork. 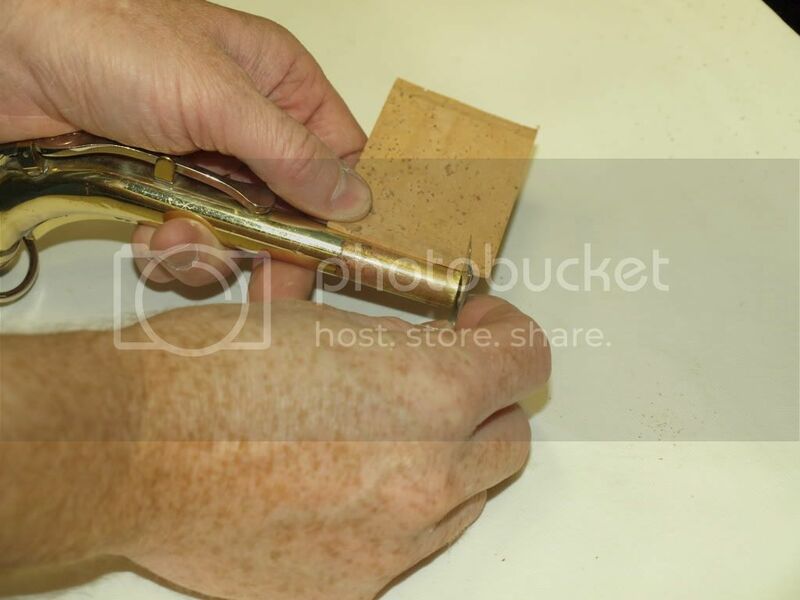 Using 240 grit sandpaper, gently sand the cork. Occasionally test fit the saxophone mouthpiece. If you have sanded enough of the newly installed saxophone neck cork, it should be snug, but not extremely hard to get on. Then apply a liberal amount of cork grease to the new saxophone neck cork. 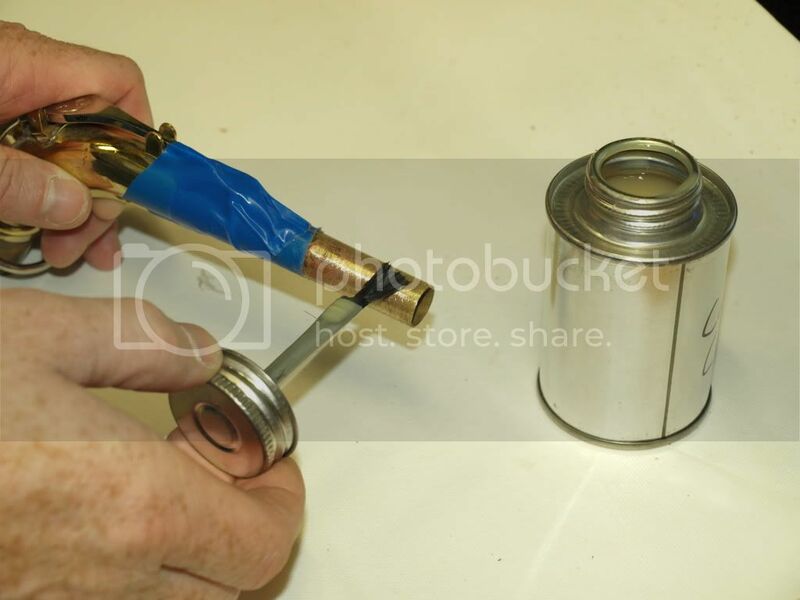 If you find that the saxophone mouthpiece is to hard to get on, you can sand more, but it will be harder once you have applied cork grease because the grease will instantly clog your sandpaper. If the mouthpiece is too loose, you have sanded too much and will need a new piece of cork.